Covenant of the Sword by Carol Louise Wilde is the second entry in the Nagaro Chronicle, a tale featuring a world brimming with magic and sophisticated characters. Nagaro and his fellow slave friends are finally free and on the island of Pakoa. Although free, he has an uncertain future, a past that is filled with unanswered questions and uncertainty about who and what he really is. While his friends hail him as the hero of the revolt that brought about their freedom, he knows that his journey is far from its end. Everything takes a terrible turn when Taru brings about a plan that sets them on an extremely dangerous and untrodden path. It’s interesting to find out what happens next. This is a riveting narrative set against the backdrop of a colorful setting, and a culture of war and magic. Carol Louise Wilde does an impeccable job in expertly weaving the backstory into the narrative, helping readers get vivid glimpses of the protagonist’s past, a past that is unclear to him and filled with riddles he must answer, but this backstory adds to the intriguing nature of the narrative. I was drawn in by the strength of the narrative, fascinated by the world building, and moved by the characters who are as real as they are sophisticated. 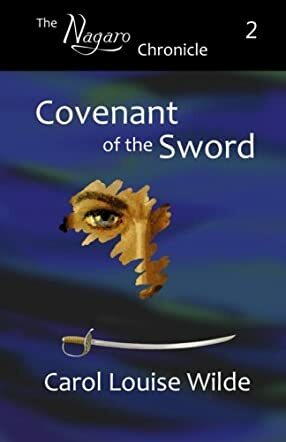 Covenant of the Sword is a great story in the hands of a skilled storyteller, intriguing and filled with entertainment. The author crafts dialogues that feel natural and employs a prose that makes for an enjoyable read. This book is nothing short of an exciting ride and you’ll love both its characters and the twists it takes.